Sustainability means doing, not dreaming! Your workwear can make or break your day. Which is why HAVEP offers you the best possible comfort, style, safety and personalised service. Go for quality and the perfect feel! It’s important to feel good in your workwear. So you can step onto the work floor with total confidence. 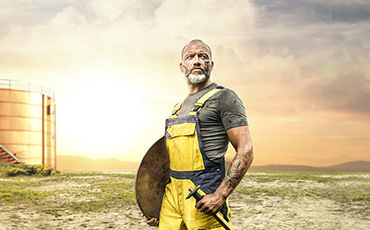 The Attitude collection is the perfect embodiment of what we think workwear should be. 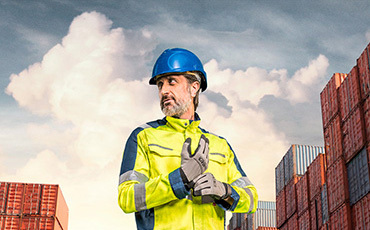 Tough and durable, this workwear also offers a perfect, tailored fit; a sporty and modern look and all kinds of practical storage options. Our clothing is designed to keep you both comfortable and protected. 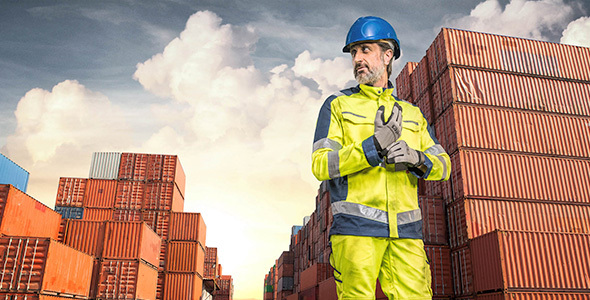 From our High Visibility collection for when you have to be seen to the 5 built-in safety standards of our 5Safety Image + collection and the industry benchmark for standardised protective wear: Multi Shield. Making the difference, night and day. Feel like a hero. Act like a hero. Work with style, your style. A better world begins with you. But changing the world on your own, that’s easier said than done. By choosing HAVEP, you are choosing for the future. Every moment counts. That’s why you should go for a partner that’s there for you, who works and thinks along with you. HAVEP comes with a suitable and durable solution when you need it. Do you think about tailor-made clothing, do you have a garment that needs a quick repair or do you want a fast delivery from our large standard stock? We are here. Feeling good at work: it radiates from you in everything you do but is also revealed by your clothes. HAVEP stands for safe work and looking good. Together with you we design an outfit that is tailored to your body and your company. Work clothing with a personal touch, completely tailor-made. For each fit, the right design. Working is top-class sport. A lot is demanded from you. And your clothing. That’s why it is important that you can always rely on good protection. HAVEP’s specialised advisors help you with your choice for the right clothing, completely tailored to your situation and needs. This way you can concentrate on what’s important to you: scoring with strong work. Looking for ways to boost your sustainability as a business? But not sure where to start? We can help you take the first steps. We analyse the environmental impact of your current clothing package and give advice on how to optimise the lifecycle. 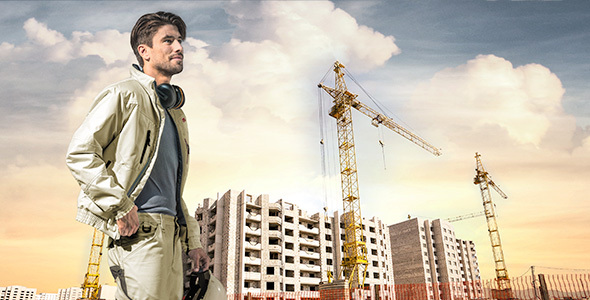 HAVEP work clothing is built to tackle all the challenges of your work together with you. If after intensive use, however, it starts to show signs of wear or damage, we’ll gladly repair it for you. To make sure you get years of pleasure out of your clothing while minimising your impact at the same time. We offer companies various possibilities for recycling old (work) clothing. One of them is the installation of a collection container at your site where you, your employees and/or visitors can deposit old clothing. And of course, when it’s full, we’ll come and pick it up again. No more never-ending fitting sessions! Revolutionary new software makes it possible to measure someone’s size digitally. Two scans is all it takes to create an accurate 3D model of the human body in under 2 minutes. Interested in buying HAVEP work clothing? Let us know whether you’re a professional or individual customer. 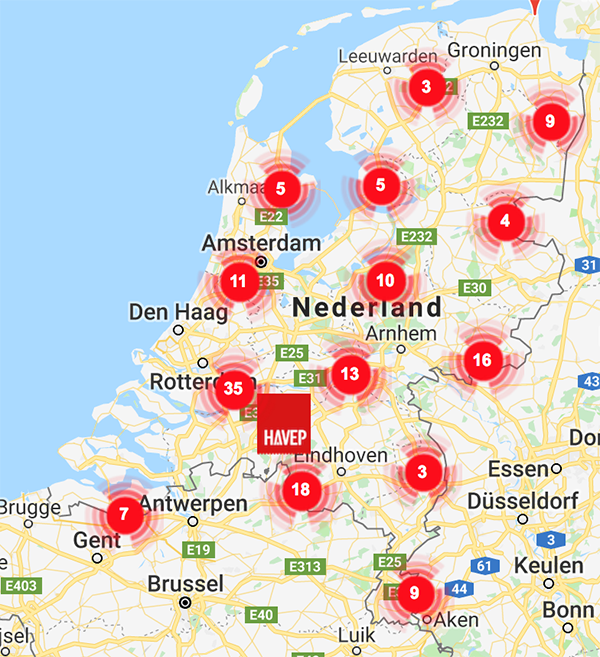 Our dealer locator will guide you to the nearest stockist.